Like many other folks with a service business, you are probably too busy taking care of your customers to have any spare time to market your business. Life is busy, work is busy and while it would be great to expand your customer base, who has the time? Not that you would object. You actually might have some ideas in the back of your mind about where those potential new clients might be. While you may know your own business, whether it is supplying IT solutions, cutting hair or walking dogs, how to market it is another question entirely. But MailChimp makes it easy. But I Have a Website – Isn't That Enough? Most companies these days, no matter what the size or service, have a website. If you don't, well that would be another blog on another day. But even if you do have a website, that isn't the end of the story. Your website is your online handshake. It introduces you to that potential client, but you can't have a relationship with them. To do that you need a conversation and that conversation is called marketing. I have always found that some kind of regular topic of conversation helps to keep that ball rolling, and that is why I have used Mailchimp to create newsletters and other ongoing mailings to keep those conversation balls in the air. 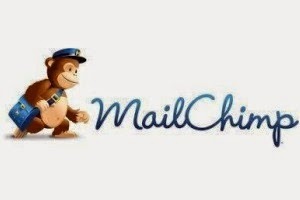 So how easy is it to use MailChimp to reach out and stay connected? Truth is, it is much easier than you think. If you have a list of email addresses of old and potential clients, and a product or service worth shouting about, you are ready to use MailChimp. You can send out to a maximum of 2,000 subscribers on the free platform, with a limit of 12,000 emails a month. This platform doesn't let you use auto responders, but you can find other software that does that. It is worth it as a cost-free way to get your mailing campaign off the ground. What you do will drive how you do it. But how do you know if you are reaching your intended audience? Of course, you want your email to look professional. MailChimp offers templates for your emails and you can choose from the wide array they offer, make your own or even use one you made for another campaign. This will mean your emails look familiar, have a smart professional look and take you less time to create. We will have some tips and tricks for you as well in this blog, so watch for those! Once your template is done you use their checklist to make sure everything is how it needs to be for a successful campaign. You can decide at the time of the campaign if you want reports that tell you things like who answers your email, who deletes it without opening and who clicks on the links in it. You can even create goals for a mailing, such as a certain percentage opening the email, and see how your campaign is tracking against that goal. It makes keeping track of what works and what doesn't much easier. One of the great features is that you can create this email and then schedule it to send at an optimum time. Want to remind your regular customers of an upcoming change in software? Create the mailing and schedule for the date they need to see this. It means you can plan in advance, control the flow of information and never be behind in your announcements, sales events or updates. So are you ready to start your own campaign? Check out all the videos and tutorials that they have on the site to help you get started. Start with something simple, like an announcement, and build from there. With this quick and easy tool you can make the full use of the internet to reach out to old customers, stay in touch with current ones and find and bring into the fold those potential new ones. It is as easy as writing an email, just so much more effective.